Josip Peruzovic, who was better known throughout his wrestling career as Nikolai Volkoff and Bepo Mongol, has passed away at the age of 70. Peruzovic headlined Madison Square Garden numerous times with Bruno Sammartino and is well-remembered for his time during the WWF's national expansion during the 80's. 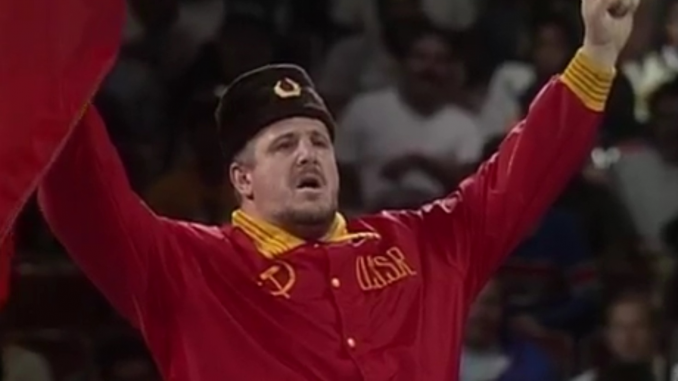 Josip Peruzovic, who wrestled throughout his career as Nikolai Volkoff, has died at the age of 70. The Volkoff character was tailor-made for the product the World Wrestling Federation was selling the 1980’s with Volkoff assuming the role of the evil representative of the Soviet Union during the Cold War. While most remembered for his rendition of the Soviet national anthem at the beginning of his matches, Volkoff was a native of the People’s Republic of Croatia, prior to Croatia’s split from Yugoslavia. He came from a weightlifting background, which helped get him to Canada and linked up with Stu Hart. It was during his time with Stampede Wrestling that he met Newton Tattrie and the two would go on to team up as The Mongols, Bepo, and Geeto. The Mongols traveled to the Northeast to work for Vince McMahon Sr. in the WWWF, winning the international version of the promotion’s tag titles in June 1970 from Victor Rivera and Tony Marino. The Mongols held the titles for more than a year before they were defeated by Bruno Sammartino and Dominick DeNucci in Pittsburgh. During their reign as tag champions, they headlined at Madison Square Garden on August 1st, 1970 against Bruno Sammartino & Victor Rivera that drew 17,864 and ended in a disqualification. This began Volkoff’s run with Sammartino at The Garden that resulted in good business the two generated together. In 1970, Sammartino’s was in the midst of his first reign as WWWF champion. Sammartino headlined Madison Square Garden against Volkoff (still wrestling as Bepo) on September 14th with a countout victory for Bepo in front of 17,232 to set up a rematch the following month. The two-month program culminated on October 23rd with Sammartino defeating Bepo and drawing 17,491 for the rematch. Volkoff returned for a second stint with the WWWF in 1974 during Sammartino’s second reign as champion and renewed their rivalry with another two-match series that sold out The Garden for both matches. It began with a title match on March 4th, 1974 and they fought until the curfew with no winner. They came back with the rematch on April 1st and Sammartino won clean. Sammartino and Volkoff sold out The Garden a third time in 1974 with a June 24th tag match where Sammartino & Chief Jay Strongbow defeating Volkoff & Freddie Blassie. Sammartino and Volkoff headlined twice more on October 25th, 1976 and August 27th, 1979 with Sammartino winning both matches. The 1979 date is listed as a sellout, which was after Sammartino had lost the title for the last time back in 1977 to Superstar Billy Graham. He also spent time working for the AWA and the Mid-South promotion prior to his next run with the World Wrestling Federation. His national presence came during the 80’s when he played one of the many foreign heels that were served up to Hulk Hogan, including the two having a “Flag Match” on Saturday Night’s Main Event in October 1985. It was during this period, he teamed with The Iron Sheik and managed by Freddie Blassie. The two won the WWF tag titles at the inaugural WrestleMania in March 1985 from Barry Windham & Mike Rotundo and held them until June. Volkoff later teamed with Boris Zhukov (James Kirk Harrell) as The Bolsheviks in 1987 as a mid-card heel tag team. The inevitable babyface turn for Volkoff occurred after The Bolsheviks broke up in 1990. Volkoff aligned himself with Jim Duggan as an American-loving character that he ran with until the end of his tenure with the company. Volkoff had one final role with the company in 1994 as a member of Ted DiBiase’s Million Dollar Corporation. Volkoff served as a henchman for DiBiase and wore a knockoff ring outfit of DiBiase’s, but instead of the dollar sign on his attire, he had the cent symbol. By 1995, he was finished up as a full-time performer but would make frequent cameos over the years on WWE programming. Volkoff was part of the ill-fated Heroes of Wrestling pay-per-view in October 1999, teaming with The Iron Sheik against The Bushwhackers in one of the worst matches you are going to see. Volkoff was inducted into the WWE Hall of Fame in April 2005. He was married for 35 years and had two daughters.